The company reported that revenue growth will be more difficult to achieve and is restructuring the business as a result. Game developer Activision Blizzard announced a major round of layoffs following during its fiscal 2018 earnings report on Tuesday. The company will lay off eight percent of its global workforce—with over 9,000 employees currently listed on the company’s website, that represents a headcount reduction of over 700 employees. The layoffs had been rumored in the gaming community for several days, and, earlier today, Kotaku reporter Jason Schreier reported that Blizzard employees were bracing for the layoffs. The company has struggled with a shift in the market that has impacted its revenue growth, particularly in the Blizzard segment. The company now forecasts in-game revenue will continue to decline in 2019. Activision Blizzard’s stock has fallen nearly 50 percent since reaching an all-time high in October 2018. Related: Major gaming stocks take a hit due to battle royale games. Not all the news from the company’s earnings release earlier today was bad. 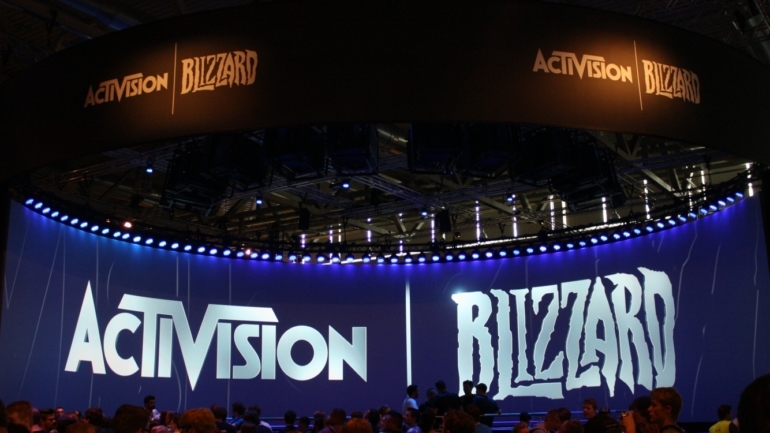 Activision Blizzard reported record revenue and earnings for the year. The strong earnings were driven by the digital sale of games like Call of Duty: Black Ops 4. However, revenues have been under pressure following the company’s split from Bungie, with which it had developed Destiny 2. Activision Blizzard has also seen weaker performance from tentpole titles including Hearthstone and Overwatch. As gamers increasingly flock to battle royale offerings like Apex Legends and Fortnite: Battle Royale, Activision Blizzard has struggled to keep pace. As stock has fallen, a number of executives have also left over the last year, including Activision Publishing CEO Eric Hirshberg, Blizzard President and Co-founder Mike Morhaime, and Blizzard Chief Financial Officer Amrita Ahuja.